This mother-son real estate team provides award-winning service to clients by means of their multi-generational perspective and shared commitment to the highest standards of professional excellence. As long-time residents of the greater San Diego area, they are passionate about their community and love selling the extraordinary coastal lifestyle that buyers from all over the world come here to experience. Charlotte began her career as a medical researcher, but spending all day sequestered in the lab did not satisfy her outgoing personality. She then became one of the first women in pharmaceutical sales, where she enjoyed a successful, 20-year career. After having her two sons, she was looking for a more flexible vocation to apply her superlative sales skills. Real estate was the perfect match for her personal talents, as well as her genuine enthusiasm for helping people find a place to call home. Brandon earned his degree in global business/economics and came back home to begin work with a real estate investment group. He oversaw both acquisitions and asset management, ensuring that properties were rehabbed within budget with quality results. When he obtained his broker’s license, Brandon decided to team up with Charlotte at Coldwell Banker. Since 2012, the twosome has leveraged their combined strengths to continue the legacy begun by Charlotte 17 years ago. Working with two agents means that clients receive twice the service: from two generations and two different vantage points. Together, Charlotte and Brandon can relate to a broad spectrum of people and work in tandem to make the real estate experience not only seamless, but fun! Charlotte began her real estate career at Coldwell Banker due to the brand’s exceptional reputation, collegial culture and superior training. She and Brandon have remained for those same reasons. Since 1998, Charlotte has been a member of the International President’s Circle, a distinction that she and Brandon now share. They were just named among the top 1000 agents nationally, and they are also designated as Previews Property Specialists – certifying them as luxury home experts. The exclusive networking opportunities they enjoy as Previews agents further add to the preeminent service they offer. “Through these networking events, we often encounter off-market properties for our buyers or are able to sell our own listings before they’ve even hit the market,” Brandon says. This is a tremendous asset for high-profile clients whose privacy is of special concern. "It's not often a Real Estate Agent is compelled to write a review of another agent, especially from a competing brokerage, but in this business, good relationships count so I am offering my review of Charlotte Weber. 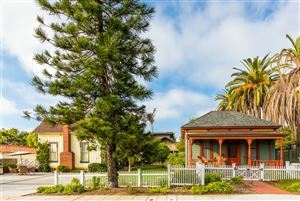 I had the pleasure of working with Charlotte as the buyer's agent on my San Diego listing. It was her personal presentation, in part, that won her buyers this home over four other competing offers and she made good on her promise to do what it takes to bring the escrow to close. She embodied the definition of a hard working, cooperative and ethical Realtor throughout the transaction. In a spirit of partnership with me, she worked to overcome obstacles with a "boots on the ground" approach, always willing to answer the phone, check progress on the property and offer her assistance in any way possible. I recommend Charlotte (as well as myself) because there is plenty of business for Realtors who work in the like minded spirit of respect and cooperation. " "I would recommend Charlotte and Brandon for any Real Estate services"
"Working with Charlotte and Brandon Weber was the best decision I made in my home-buying process. I found exactly the property I was looking for in my desired price range. Charlotte and Brandon took the time to get to know me as an individual, my personal values, and my long-term financial goals. They worked around the clock for me until I found my perfect home. Charlotte and Brandon are an unbeatable team; they know San Diego in and out. Over the course of the home-buying process we had built a strong and trusting relationship and when it came time to put in offers and make a purchase, I knew that with their expertise I would be getting the best possible deal on my home, and I did. Going above and beyond doesn’t start to describe the service I received from Charlotte and Brandon, even months after my purchase they are still a part of my life. If you are looking for a dynamic duo with expertise, savvy, and an all-around fun home-buying experience, this is your team of realtor. "